Need a quick, easy side dish? These balsamic mushrooms and veggies are always a hit. They are roasted to perfection – so tender and delicious. 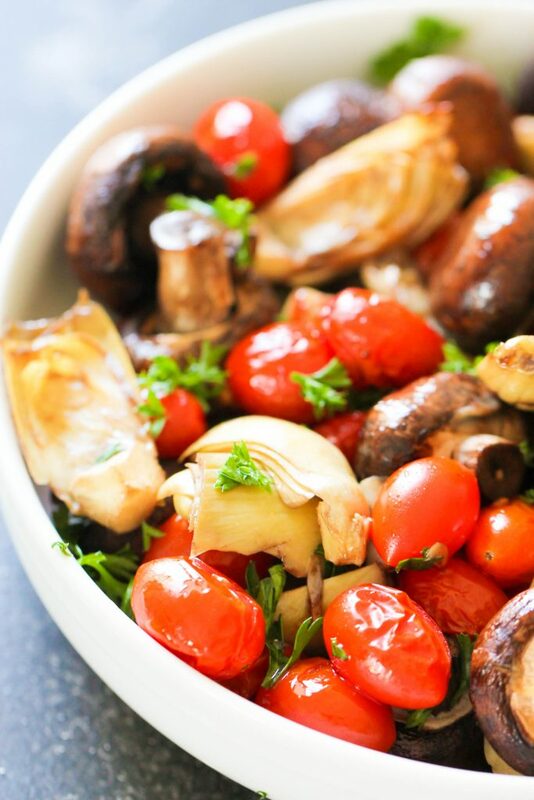 In a large bowl, mix together mushrooms, tomatoes, artichokes, balsamic vinegar, and olive oil. Spread out evenly on a foiled-lined baking sheet. Bake for 20 minutes, until mushrooms are tender and artichokes start to turn golden brown.